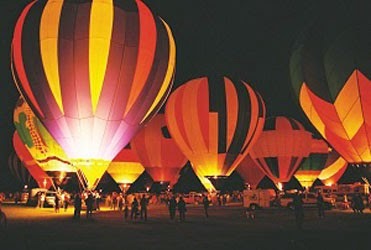 Balloon glow attracts visitors during the fiesta. Albuquerque International BalloonFiesta. More than 500 hot air balloons dot the skies during this annual event. Early risers can witness the mass ascension events, eat world-famous breakfast burritos, and see the sun rise over the Sandia Mountains. In the evenings, balloons stay on the ground for “glow” events, allowing visitors to see these beauties up close. There will also be concerts, competitions and new special shapes, including an orca and a snail. This year’s event runs October 4-12. Chile Roasting Season Snap, crackle and pop! It’s what you’ll hear when visiting dozens of locations throughout the city where chiles are roasting. Fall is chile harvest season, and visitors will see roasters set up everywhere, from the grocery store to farmers’ markets and restaurants Go to a local restaurant that incorporates them into dishes, from donuts to stuffed sopapillas. 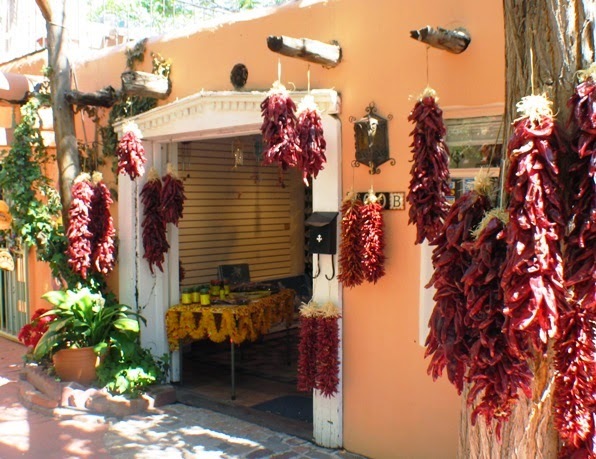 You don't have to look far to find chiles in Albuquerque. Fall colors from many angles Albuquerque’s location in a river valley and its altitude – more than a mile high – mean that the city has many deciduous trees, from cottonwood to aspen. 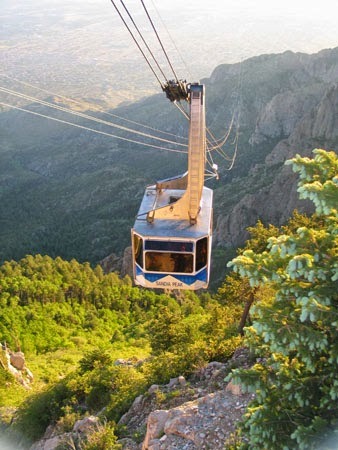 To see the trees up close, take a bike tour along the Rio Grande River on the city’s well-known Bosque Trail, a paddling tour on the river, or a breathtaking tram ride to the top of 10,000-foot-high Sandia Mountains. A drive on the Sandia Crest National Scenic Byway to the range’s highest point will provide spectacular fall color. Spectacular weather. Most October days are clear and sunny, with highs in the 70s and lows around 50. Humidity is nearly nonexistent, meaning conditions are ideal for spending time outside. If you’re up early to take in a balloon ride or hike, dress in warm layers for the cool mornings; then peel them off as the sun comes up. Don’t miss the sunsets – some of the most stunning in the world, due to big skies, beautiful clouds, and a landscape featuring mountains that turn watermelon pink as the sun goes down. 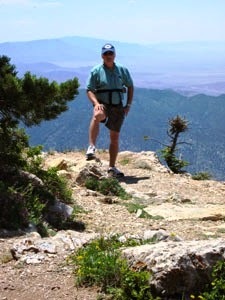 Take the tram to the top if Sandia Mountain. Special Events From pumpkin patches to corn mazes and ghost hunts, Albuquerque is a great city for fall traditions. There are several arts and cultural festivals, including events with a Native American focus and a Greek-inspired celebration. One of the most colorful events in fall is Dia de los Muertos, or Day of the Dead, which is used to honor deceased loved ones. Brightly decorated skulls can be seen everywhere including jewelry, art, and even as face painting!